As musicians, we translate written music—the composer’s instructions and all the technical demands—into an active, emotional experience for an audience. During our rehearsals, we often discuss where we think a piece is going—the story it’s telling, the images it brings to our minds, or the characters our instruments are becoming in the unfolding drama. Unlike a painting or a sculpture, music is a temporal art form—art which exists only in the moment we experience it. We musicians spark a rippling effect, igniting the air with vibration, enlivening it with pulsating rhythms and patterns. It doesn’t stop there, though. Musical art is the shared experience between the composer’s plans, the musicians’ interpretation, and the audience’s imagination and spirit. Each performance is a new creation! As both a musician and a composer, I relish the challenge of translating my personal memories, reflections, and creative musings into music. I’m honored to share my music with musicians I trust and admire—who will partner with me to create an earnest and heartfelt experience for an audience. 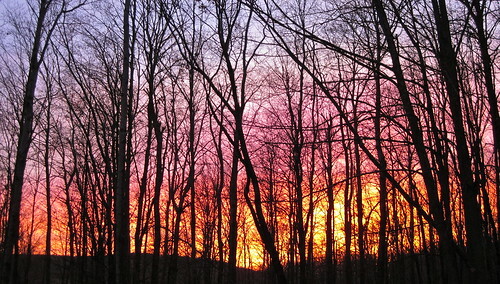 Last winter, on an evening drive into Traverse City, I was awestruck by a scarlet sunset. As I hurtled past the naked forest and snow-covered furrows bathed in those last few moments of daylight, I couldn’t help taking a mental picture. It was a picture of light and color as emotion and sound, of winter as a beginning rather than an end. I’m excited to share with you on our debut album the premiere of the musical essay (Midwinter Twilight) that grew from that small moment. The music depicts the colors of a fiery twilight flickering through bare branches along a deserted country road, and the rush of memories of all four seasons across a single landscape. Interwoven into the musical score is narration taken from my personal journal, drawing parallels between sound and light, nature and music. On behalf of Manitou Winds, I’d like to thank you for making music with us—by being an active participant in the art we create in our concerts and by making a pledge that has enabled us to create our debut album. We truly could not make our art without you. P.S. Looking forward to visiting with all of you at this year’s Winter Songs & Carols performances where you can hear the first-ever live performance of Midwinter Twilight! ← A Celtic Summertide: Thank You!